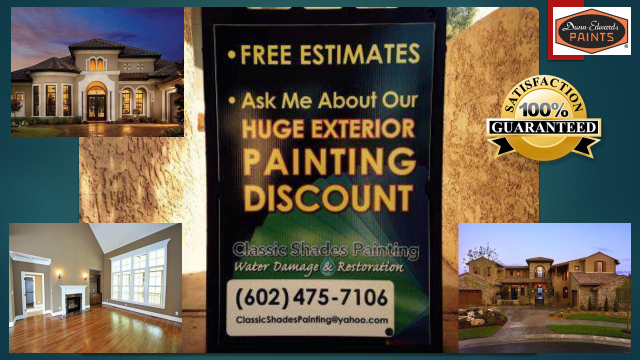 When the existing paint on your home or commercial building is cracking and fading, call on the professional paint contractors at Classic Shades Painting Water Damage & Restoration, LLC in Phoenix, Arizona. 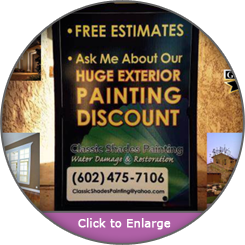 Our interior and exterior painting completely transforms the appearance of your rooms and outdoor surfaces. We also offer roof repairs to improve the curbside appeal of your property. No matter the age of your property, a fresh coat of paint is one of the most affordable ways to give interior spaces a facelift. Our contractors serve residential and commercial owners who are looking to create an inviting atmosphere that is both soothing and refreshing. We work closely with a talented group of interior decorators to select a suitable color scheme for each room and surface. 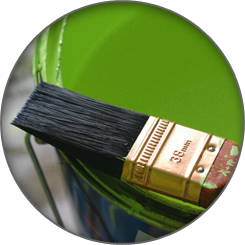 Consider using our interior painting service if you prefer high-quality, low VOC, or biodegradable paint options. Instead of going the inexpensive route, many owners typically select a higher-quality paint that leads to more vibrant colors and a more dramatic finish. Some of our clients include doctors, lawyers, and other high-profile clients who expect nothing short of the best. Call us today to request a free, no-obligation estimate. We will conduct a complete walk-through with you and identify any specific areas of concern to calculate a detailed and concise estimate. When you choose our experienced contractors, you can rest assured knowing you will receive a thorough service from start to finish. Before painting begins, we prep the area with a variety of services, including power washing, caulking, crack sealing, and protecting non-paint surfaces from over-spray and dripping. In addition, we sand or replace any rotting wood instead of covering it with a coat of paint. Pricing ranges from .75 to .85 cents per square-foot, not including corrective repairs or color changes.